Whether you are traveling from afar or walking down from your house, spectators play a big role in our community-centered race. From the runners who have “hit-the-wall” to those cruising in for a personal record, every one of them needs and appreciates the spectator’s support! Please stop down by the shoreline to clap, yell, ring that cowbell, or play some pump-up tunes! Manitowoc and Two Rivers are home to a number of beautiful lodging establishments, great dining locations, and phenomenal tourist sites. The Manitowoc Area Visitor and Convention Bureau is a great resource in finding anything you might need during your stay. 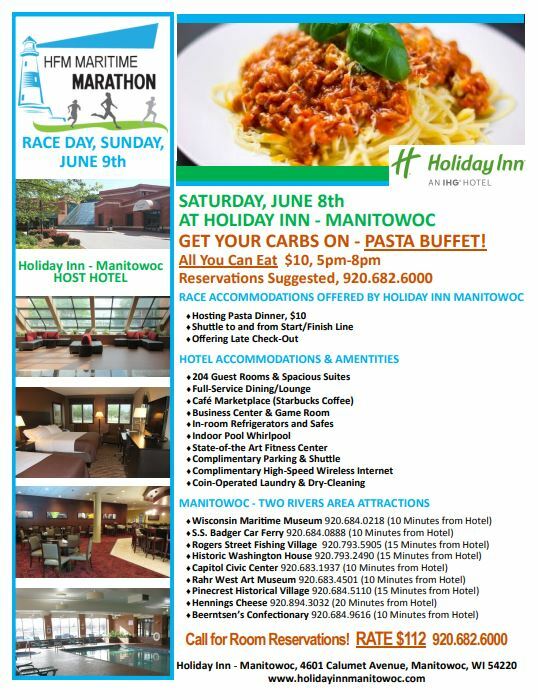 Beginning this year, we are excited to announce that Holiday Inn Manitowoc Hotel will be hosting a pasta dinner on Saturday night, regardless of where you plan to stay! They will also be running a shuttle to and from the Start/Finish Line and will offer a late checkout to all who stay with them! 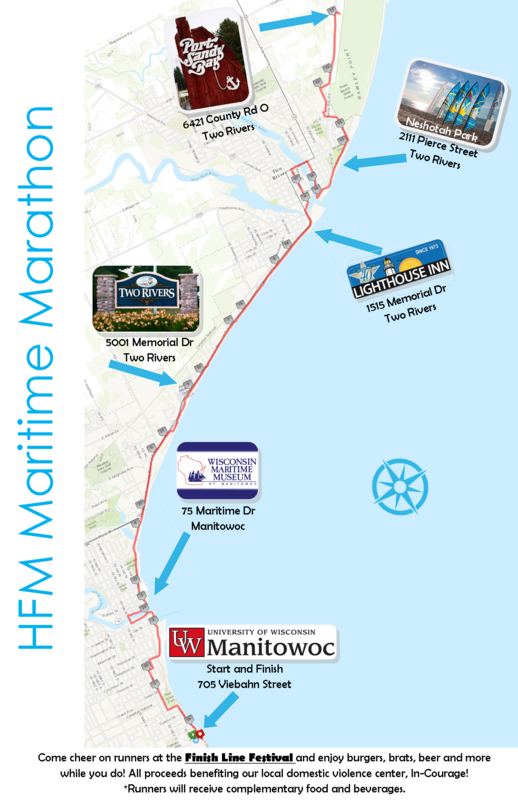 Thanks to our preferred hotel, Holiday Inn Manitowoc Hotel, for your support to the race and it’s runners!